Ball-Pythons.net - Freshly shed, this calico spider ball python is one hot little number! 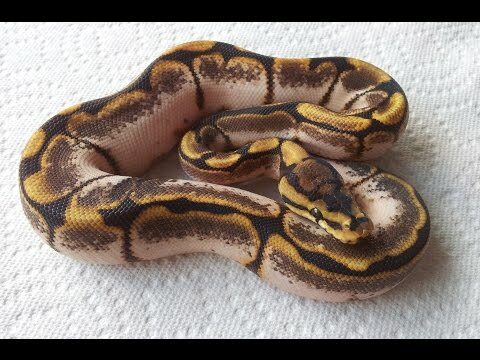 Ball-Pythons.net - Some beautiful pictures and video of an awesome calico spider ball python. Ball-Pythons.net - A freshly shed hypo pastel enchi just had to show off for the camera, along with a few other slithery peers. Ball-Pythons.net - This is one hot ball python from Royal Hijinx, hotter than ever at 1000 grams. YouTube - Tactical Veterinarian shows off their beautiful calider ball python from nose to tail tip. Ball-Pythons.net - Ed Deupree, of Wildmorph Ball Pythons, shows off a collection of gorgeous ball python morphs and combos, all 2012 holdbacks and new acquisitions for his ambitious breeding plans.